Fuji is one of the most popular names in photographic device industry due to quality of their product. All Fuji cameras are known for their competency in producing beautiful and highest quality image which made most photographers to love going for Fuji camera. The Fujifilm X70 is another wonderfully built and high-tech camera coming with features that set it apart from the competitors. The design is simple yet elegant making it highly attractive to both private camera users and professional photographers. You are going to learn more about this wonderful and tech improved camera through the review on this site. This is a fixed-lens APS compact digital camera coming from Fuji film with 16.3MP X-Trans sensor and 18.5 mm with 28 mm field of view equivalent of F2.8 Fuji-non lens. When placed side by side with the X100 you will discover that this wonderful camera share lots of similarities with it. 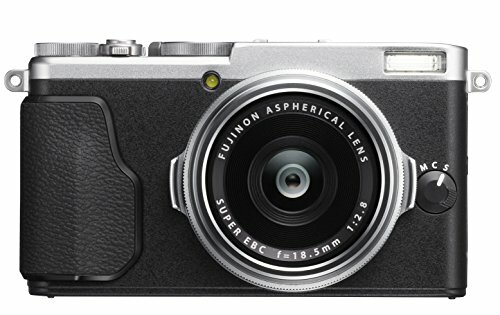 But the truth is that there are still some unique features associated with X70 model of Fuji firm which made it different and superior from the X100 version. So, you can see the reason why most professional photographers prefer taking shot with Fuji film camera. 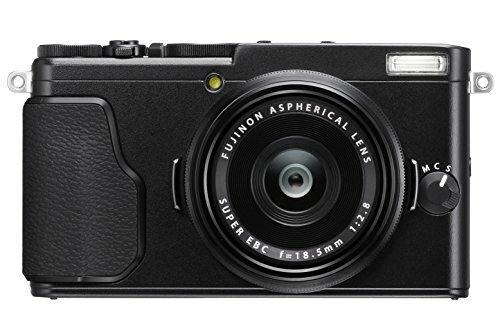 The first thing Fujifilm X70 shared with the X100 version is the user interface. The touchscreen tilting feature associated with this camera is another similarity it shared with the X100 version. The metal chassis designed with dials upon dials is among the similar features between X70 and X100. Apart from the vintage setup and features associated with this camera it is also designed with tech improved digital age features. That made it the camera for anyone that wants to enjoy vintage as well as modern age features in digital camera. Another thing about this camera is that it is built with features that made it completely unique and superior over the competitors. To ensure top quality image the manufacturer of this camera has made it with top of the age features and improved image sensor. You will be sure of producing sharp and quality image when you take shot with this camera due to the 16.3MP X-Trans CMOS II APS-sensor. This image sensor is big enough to attract and capture light from image to ensure bright and sharp looking image. Honestly, you will be sure of improved performance in your photography when you make use of this wonderful and tech improved camera to take the photograph. Another area to look into while considering the possible features associated with this camera is the lens. The quality and size of the lens will determine the equality of image users will be able to produce using the camera. This Fujifilm X70 is built with fixed-lens of 28mm which was also found in most reputable cameras in the market. The effective pixel of this camera is 16 megapixels and the ISO is Auto ISO 200-6400 and expandable to 100-51200. The aperture of this camera is F2.8 to F16.0. These features are among the things that made this camera the best among others in the same category. So, if you are searching for best camera you should just go for this X70 version from Fujifilm as it has the features that will definitely impress you. This product of Fujifilm is built with 77-point hybrid autofocus system (PDAF+ CDAF points, + 28 CDAF). Also, it is made with 3-inch tilting 1.04M dot touchscreen LCD screen. These features equally contributed to make this camera the best in class. It is also built with Wi-Fi for easy connectivity and file transfer to PC and other devices. In fact, this camera has enough features to attract avid photographers into making it their best choice. There is also lots of physical control features associated with this camera which made it easy to use to all photographers including the novice. The first physical control is one the shutter speed which can be adjusted high, normal or low depending on the preference of the photographer. The second feature that can easily be controlled and adjusted physically is the aperture. You can decide on the size base on the image you want to capture with this camera. The exposure compensation is another thing that requires physical control as you can decide on the light exposure on the image you want to capture. It is interesting for you to know that Fujifilm X70 is built with topnotch feature offered at affordable rate. This camera comes in variant colors including Black, Silver and others but all of them are offered at same price rate. The cost of this camera is set at $699.00 which is quite competitive when compare with price of the competing brand in the market. The dimension is 113 x 64 x 44. Honestly, if you are looking for best camera to take shot as a landscaper or you are looking for portable and light weight camera you can travel along with then Fujifilm X70 is the choice you need to make. It will offer you delight experience when you use it to take street shot. The affordable pricing is another thing that made it best choice for you when you want best camera offered at affordable rate. Portable, light weight and affordable price. It has the auto focus of the larger cameras the X-T1 and T10. The camera is nice and compact compared to X-10, and slips into a coat or jacket pocket easily. What I love about is the wifi network – connects to your smartphone or tablet using a very user friendly app, you can either view, downloads photos, control your camera remotely and GPS tag location. Image quality and amazing flash integration, in a much smaller package. The tilt screen is awesome except that in bright light it is very difficult to see. The lens is very shallow and easy to consistently smudge with fingerprints. I love this little gem. It’s more compact than my xt10. The camera was very poor at face detection and face tracking. Don’t know why there’s touch screen because it adds nothing. I turn that off. AF is way better than than X100S. Much faster, and accurate. Great Camera…perfect for me…large camera IQ in an incredibly small package. This camera is built for street photography. It’s so small that I can carry it everywhere. The quality is simply amazing! The image quality is amazing and so easy to use. Best of all its small and discreet, ideal for street shooting. The image quality of this little thing is amazing. Super fast AF speed, second to Sony’s. Touchscreen: I love the pinch zoom when reviewing and touch for setting focus. Build quality/ergos: Feels great and sturdy in my medium sized hands.